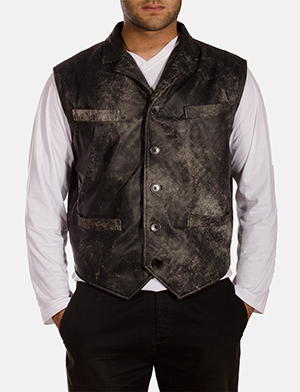 A leather vest is a great way to maintain your leather style in warm climates. Or perhaps just for a different look, to set apart the usual. Point is, leather vests can be worn any time of year. 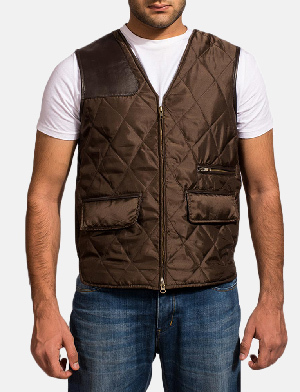 With an interestingly wide range that include leather motorcycle vests better known as biker vests, men’s leather vests move from black leather vests to brown leather vests, thus creating options for colour variants should you need it. The Jacket Maker is the ideal place where men’s leather vests in particular, can be found in a multitude of options, varying colours, styles and a great deal more. 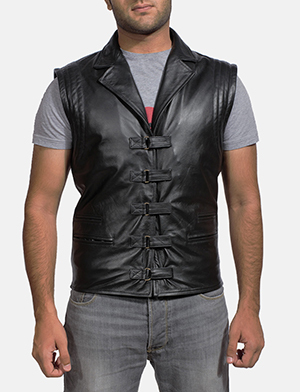 Motorcycle vests being one of the most popular in this category and one of the best sellers at The Jacket Maker, you will definitely find something that complements your style in so many more ways than you can imagine. Made from either sheepskin or lambskin, cow hide or buffalo, leather vests may also undergo treatments to achive aniline or semi-aniline status. Nappa, nubuck or suede are some other materials used for biker vests. 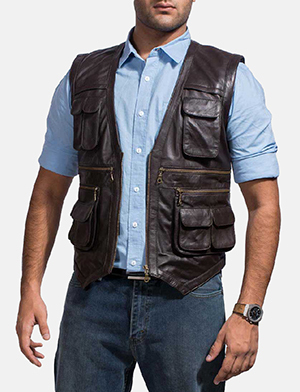 Should the leather vests in store not be what you’re looking for, don’t hesitate to work with our team in crafting an exclusive, made to order leather vest, customized to suit your personality, lifestyle and need. For those who’ve never tried it before, we’d say jump on the bandwagon and enjoy everything that leather vests have to offer. Our team is always ready to assist you in any way possible, so hit that request button and leave the rest to us.